wireless speaker that I received courtesy of Sol Republic. Sol Republic Punk is a small yet powerful speaker. What I love about the amazing sound is that I can take this with me anywhere! This would be a great addition to any music lover's holiday wishlist. 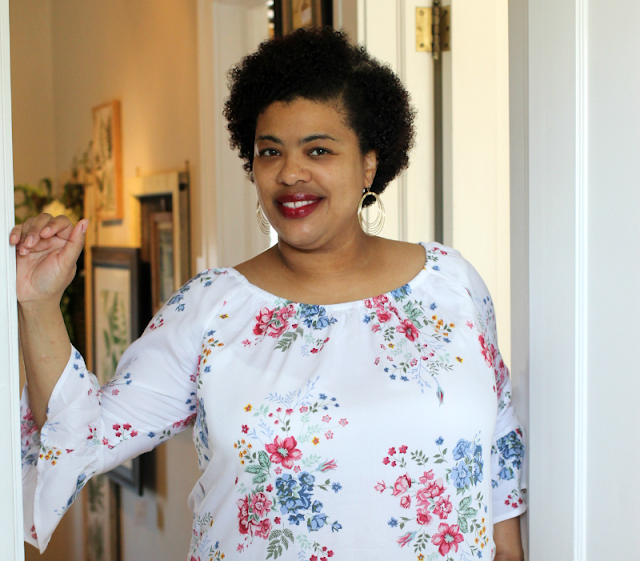 You can purchase one here! Now that I've got your attention, I'm going to give one of these bad boys away! 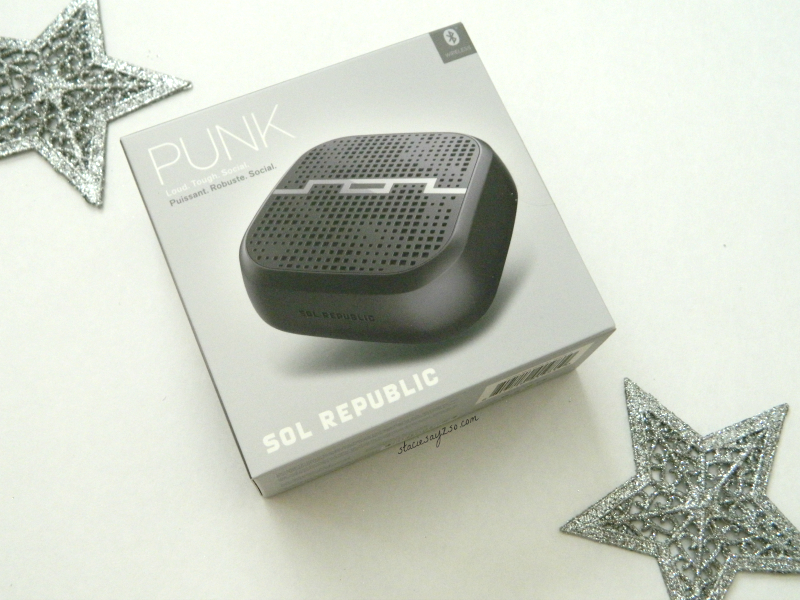 Thanks to Sol Republic, one Stacie Sayz So reader will win a Punk speaker! To enter, leave a comment. For extra entries, use Rafflecopter. Giveaway ends Nov. 30 at 11:59pm. Stacie Sayz So is not responsible to lost or stolen packages. Open to US only. Is Sol Republic on your Holiday wishlist? This is great, my sons would love this - entering now! This looks really cool my daughter would love this. These little speakers are nice, but I have no where that I need to use it. Maybe camping, I suppose! Ok this looks like a cool item to have. I would love one. I would love to win this. These would be great for when my kids what to have Pandora dance parties. Thanks for this awesome giveaway! This is on my wish list! Sammie would love this. Thanks for the chance. Thanks for the chance! Would love to win this for Christmas for my husband! This speaker would be really great to give my husband for Christmas. Someone on a job site stole a wireless speaker from him, and I would really love to get him a new one! CONNIE SOWARDS commenting: My daughter would love this. She's been asking for one for a while. Thanks for having this giveaway! Oh, my SIL would love this! These are so neat! I love the shape. great gift. have a good weekend! My daughter would Love this. She's always playing music on the iPad . Would love this! So cool! I would love to win for my husband!! this would make a great christmas gift! thanks for the opportunity to win this! I'm Kathleen S. in rafflecopter.. Thank you! This would be great when away from home. Oh I would love to have one of these - so very cool and handy. I'd love to win this! Thanks for the chance. I'd love a speaker like this to connect my phone through. This would make a nice gift for Christmas! This would be perfect for using around the house, so portable! very cute. i'd love this! ty for the chance! Would be great for my cousin! I would love to win this for my son, I really enjoy your blog! Thanks for the giveaway, we've been interested in something like this! Would make a really nice gift for my daughter. This would make a great Christmas gift for my teenage son. Thanks and Happy Holidays! You have a great blog going on here! This would be the perfect 'stocking stuffer' gift! This is awesome. I have never heard of this product but I love that it is water and dirt resistant. Some things mess up so easily and this sounds like it will last! I love this! I've never seen one like it! It's on my son's holiday wish list. My brother would love this at his job! I'd love to win this ! My husband would love this speaker. 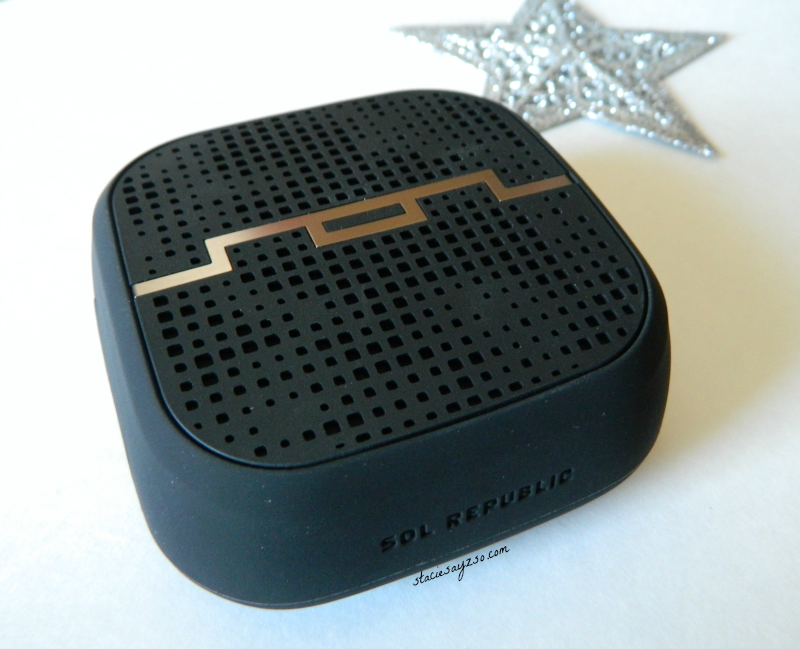 The Sol Republic Punk Wireless Speaker is a wonderful holiday gift idea. I would love to have one, Thank you for the opportunity to win! This is such a great stocking stuffer idea! thanks for the giveaway! I want one of those so bad.